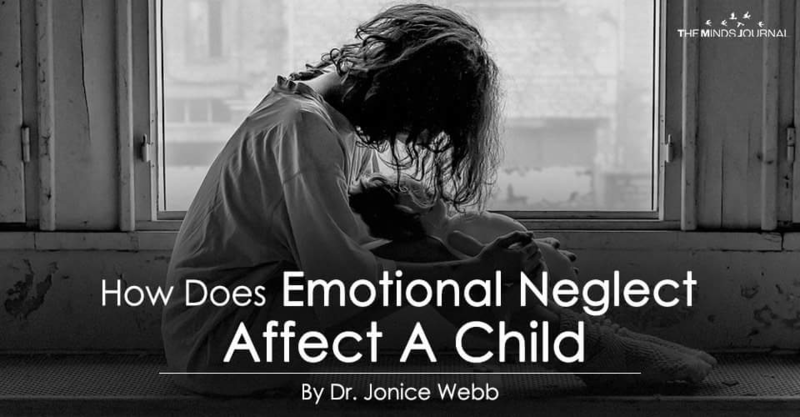 How Does Emotional Neglect Affect A Child? Childhood Emotional Neglect (CEN) happens when the parent fails to respond enough to the child’s emotional needs. The truth is that parents fail to notice their children’s emotions in every family in every household in the world every single day. And that is A-Okay. No parent can, or should, be 100% aware of his child’s feelings all the time, and that is not a requirement to be a good parent. Childhood Emotional Neglect only happens when the parent fails to notice the child’s emotions enough. Every child is born with a certain threshold of need for emotional connection, validation, and responsiveness from his or her parents. As a child, your parents may meet your needs sometimes, in some ways. But they may fail you in small, everyday ways that add up over time. And this may leave the footprint of Childhood Emotional Neglect upon you. First, let’s take a painful peek at Emotional Neglect in action, actually happening to a child. Happily skipping to her mother’s car, Althea gets distracted by the neighbor’s dog Bruno, who she loves, and in whom she takes great delight. Seeing that her mom is looking for her keys in her purse, she runs over to Bruno and says in a voice she usually uses only for dolls and dogs, “Hi Cutie, what are you gonna do today, huh Boy?” Bruno responds with licks and kisses and love, and Althea is instantly absorbed in the delight of Bruno. But this warm moment is disrupted suddenly by Althea’s mom. Startled and taken from joy to hurt in the period of 2 seconds, Althea withdraws her hand from the licks and runs rapidly to the car, feeling ashamed. Strapped into the back seat, she tries to catch a glimpse of her mom’s face in the rearview mirror as they’re driving to see if she’s still angry. All she sees is a blank expression in the reflection, making it impossible to tell. Althea lies on her bed trying to do her homework but it’s impossible for her to focus. Her brain keeps replaying an incident that happened earlier that day in which her teacher singled her out in science class, calling her a “slow learner” in front of her friends and classmates. Althea knew she had an A average in the class, and her dream was to become a doctor. She was having a great deal of trouble swallowing the humiliation, disappointment, and unfairness of it all. Through the walls of her room came the sounds of her father and sister laughing and talking. Everyone else in the world seemed happy and fine to Althea at that moment. “I don’t understand. What did I do wrong? What should I do? What does this mean?” These questions kept replaying over and over and over in Althea’s head. Deep down she knew there were no answers. Emotional Neglect is seldom dramatic. Instead, it is usually small and subtle and dwells in everyday events like those we just saw in Althea’s life. As you can see, Althea is not experiencing abuse or attacks. An outsider would see a typical mom in a hurry in the first scenario, and a typical “moody teen” in the second. But for Althea, there is far more going on.